Deliver a holistic view of your customers for your sales and support teams with a dynamic two-way integration between ticket data from Zendesk and customer data from Microsoft Dynamics CRM. Easily access and filter support ticket information in a custom Zendesk panel within Microsoft Dynamics CRM. 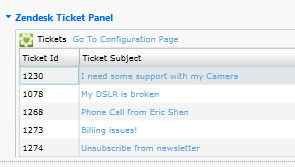 Enable your sales team to view, create and update tickets within a familiar sales platform they use everyday. Give your support team better insights to deliver superior customer service. Share relevant customer data, such as customer account size or contract status, from Microsoft Dynamics CRM on Zendesk ticket pages and user profiles. Apply Microsoft Dynamics CRM reporting and analytics tools to Zendesk ticket data. Gain insights to increase workflow efficiencies that help you raise customer satisfaction. When it comes to integrating your Zendesk and Dynamics CRM/365 systems you want to make sure you choose the correct option. eOne provides two different offerings: The SmartConnect platform with multiple integration templates, and the Zendesk integration apps found in the Zendesk marketplace. The following questions will highlight the main features and differences of the two offerings, so an accurate decision can be made on your required solution. Do the solutions have an add-in for Zendesk or Dynamics CRM/365? The Zendesk Integration App, is an app that is purchased within the Zendesk marketplace. It has a configuration page in Zendesk, along with an app panel that displays data from Dynamics CRM/365 when opening a ticket in Zendesk. The app also requires that a solution file is deployed and published in Dynamics CRM/365. That solution file has a configuration page and includes a ticket grid (web resource) that can be added to an existing entity inside of Dynamics CRM/365. SmartConnect itself does not have any component that exists within either Dynamics CRM/365 or Zendesk. 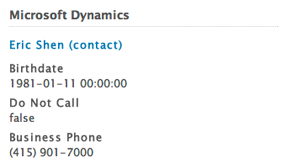 However, the pre-built integration templates do make use of some custom fields in both Zendesk and Dynamics CRM/365. If the templates are imported and setup within SmartConnect, a custom field will need to be added to the Ticket object in Zendesk and to the Case entity within Dynamics CRM/365 to ensure those records sync correctly. How does the Zendesk Integration App work? The Zendesk Integration App is designed to display data from one system while inside the other one. While in Zendesk, Dynamics CRM/365 data will pull into the app panel alongside a ticket that is opened for viewing. In a similar manner, if a contact or account record is opened within Dynamics CRM/365 then the ticket grid will display associated tickets for that record. Users can then edit tickets (or even create new tickets, in Dynamics 365) that are displayed within the ticket grid. There is also a basic Ticket to Case integration, which creates new Cases in Dynamics CRM/365 when a ticket is created in Zendesk. SmartConnect has multiple connection points and is a full integration platform. Included in those connectors are options for Dynamics CRM/365 and Zendesk. Integrations can either be setup from scratch to integrate the two systems as desired, or pre-built templates can be deployed (and can still be modified if needed) that tie the systems together. The templates integrate Dynamics accounts with Zendesk organizations, contacts with users, and cases with tickets. Each of those integrations are setup to be bi-directional. Is there any difference between the Dynamics CRM and the Dynamics 365 versions of the Zendesk Integration Apps? Yes, the app created for Dynamics 365 has been rebuilt from the ground up. A lot of the main features exist in both – but have been enhanced in the Dynamics 365 version. The biggest difference is overall speed and performance, with the ticket grid in Dynamics performing up to 40 times faster. The components in the Dynamics 365 solution have been designed to fit with the standard Dynamics processes, removing extra custom windows and setup entities that are no longer needed. Additionally, new tickets can be created from the ticket grid in Dynamics 365 – while the CRM version of the app only allows editing of existing tickets. Can SmartConnect and the Zendesk Integration Apps be used together? When would one be chosen over the other? The Zendesk Integration Apps are best suited to displaying data from one system in another, without integrating that data across permanently. 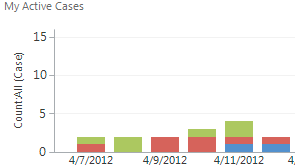 For example, viewing a snapshot of the Dynamics CRM/ 365 data when a Zendesk ticket is pulled up. It also excels at allowing users to view and update tickets while viewing a contact or account record in Dynamics CRM/365. SmartConnect is best suited for true integrations. If there is a need to have the accounts and organizations, contacts and users, and/or cases and tickets truly synced between systems, SmartConnect would fill that need. Anytime there is a need to have the creation of a record in one system cause a new record to be created in another system, SmartConnect is the choice. The two offerings can be used together, as they both fill different needs for a company. They won’t interfere with the operation of each solution when deployed and setup. What does pricing look like for each of these options? The Zendesk Integration App for Dynamics CRM is $50/month/instance. The Zendesk Integration App for Dynamics 365 is $5/month/agent. The pricing for those apps are handled through the Zendesk marketplace, and the agent(user) count is based off the Zendesk agent count for the 365 app. SmartConnect is priced at $267/month. If SmartConnect is purchased, the entire integration platform is available for use so any of the connections included in SmartConnect can be setup and used in other integrations. Any templates or additional connections on the eOne Solutions website can also be downloaded and deployed within SmartConnect.